Theresa May will host a meeting of her Brexit ‘war cabinet’ on Thursday [Image: Christopher Furlong/PA]. Get ready for the hardest Brexit possible, after the far-right extremists of the European Research Group wrote a letter holding Theresa May’s government to ransom. 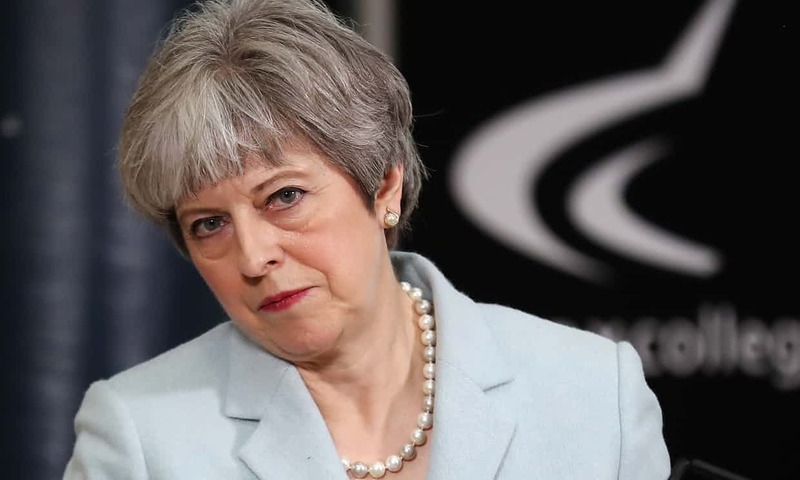 The letter is signed by 62 backbench Tories – more than enough to trigger a leadership – or even a general – election if Mrs May doesn’t accept their draconian demands. The ERG is a lobby group funded by the public via MPs’ expenses demand, in a clear breach of the Ministerial Code (in the case of those ministers who are members). This Site has reported on the issue in the past but Mrs May has dithered and done nothing about it. What a shame – if she had only grown a backbone, she would not be in this pickle now. We can’t let the Tories use Brexit to weaken our fundamental rights. I’m told there is a body called the ERG – the Economic Ruin Group – which is chaired by Mr Rees-Mogg & is planning a Brexit without a trade deal and the end of the Good Friday Agreement. It will be interesting to see how Mrs May tries to spin her decision to give in to the ERG extremists, after Thursday’s meeting. Get ready for Brexit, not the watered down remain in all but name so called soft Brexit that we never voted for. This was always a nasty right wing coup by people who don’t care a jot for the majority of the people of Britain.